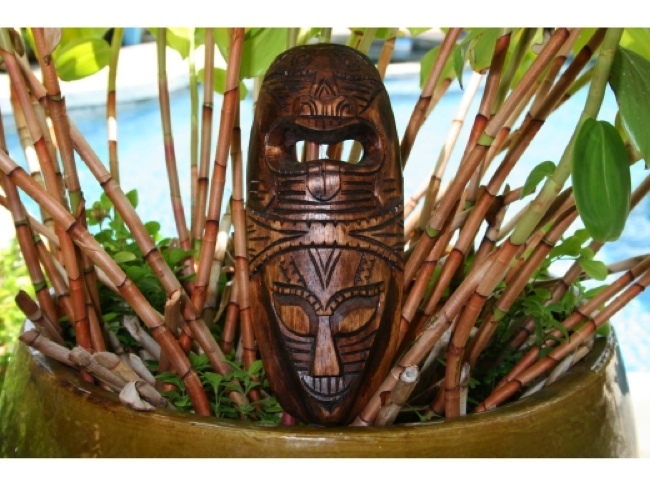 Here is a wooden Fijian mask featuring 2 deities representing Love and Strength the mask measures about 12 INCHES. This mask was hand carved and hand painted. Perfect for outdoor or indoor Polynesian Tiki decor! Its a beautiful piece of art! 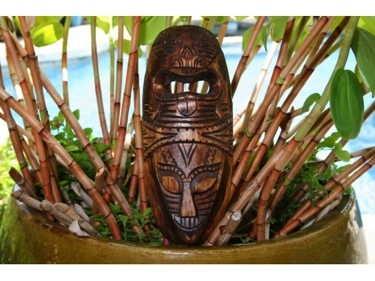 Great Tiki decor for your Tiki Bar area or simply your home!